Next Tuesday, June 9, our Paper Pizzazz class will be meeting again. 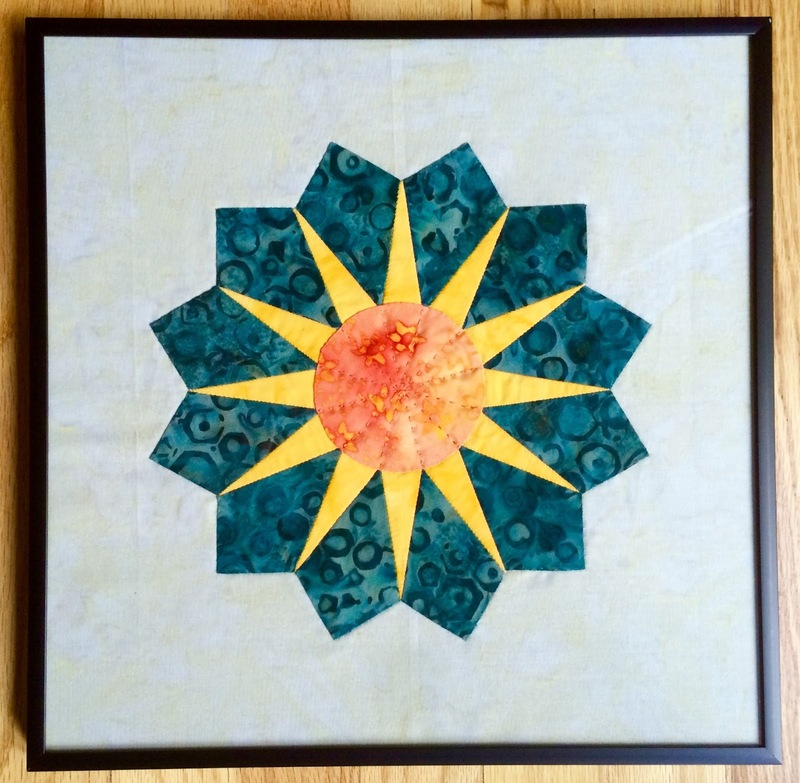 Our shape of the month is called the Chrysanthemum, similar to the dresden fan. I have made these samples, and directions for the little spring top purse will be available to those in the class. The Paper Pizzazz class is great for anyone who wants to learn about English Paper Piecing. We start you out on an easy hexagon block to learn the basics, and then you can go on from there! 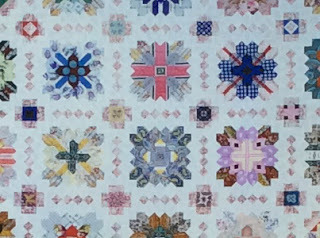 The honeycomb shape is used in the Lucy Boston quilt, also known as the Patchwork of the Crosses. My blocks are somewhat more contemporary instead of using the traditional Civil War reproduction prints. I like to stray from the path on some of these things to get people to look at the original with a different perspective! Anyone is welcome to come to Paper Pizzazz, just call us at 651-429-1039 to reserve your seat! We meet from 1-3:30 on the second Tuesday of the month. The Gypsy Wife Is Back! Row by Row Shop Hop Exclusive Keepsakes! Whatever Happened to Gypsy Wife?